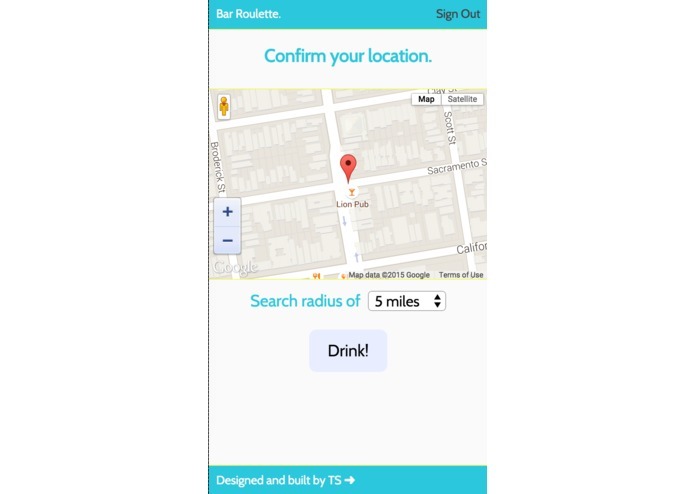 I'm new to programming and Bar Roulette is my first app. I recently signed up for a programming class but was struggling to think of a final project. 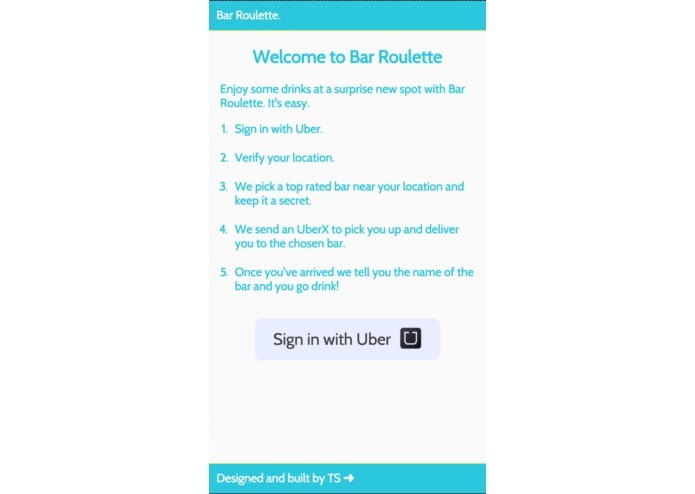 When I read that the Uber API now had ride requests I knew exactly what I should build, Bar Roulette. A big struggle some nights (and afternoons) is picking a bar to go to. I often end up going to the same spots. Bar Roulette is how I fixed that and added some excitement to picking a bar. 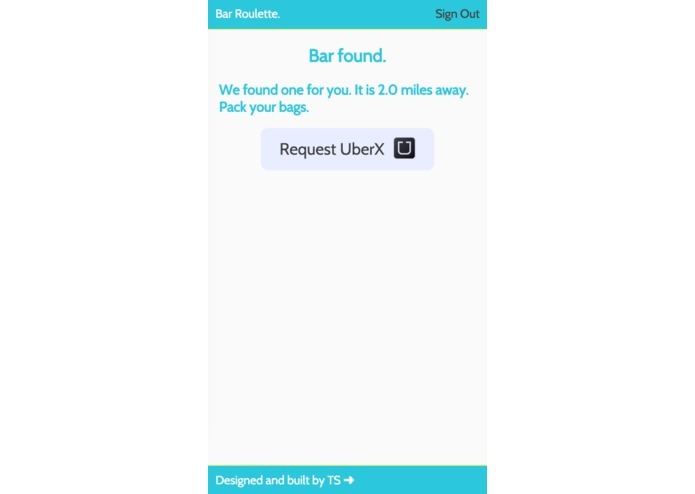 All the user does is enter in their location, the app then picks a top rated bar in their city that is open and sends an UberX to pick them up. If UberX isn't available in their city a Black Car is sent. 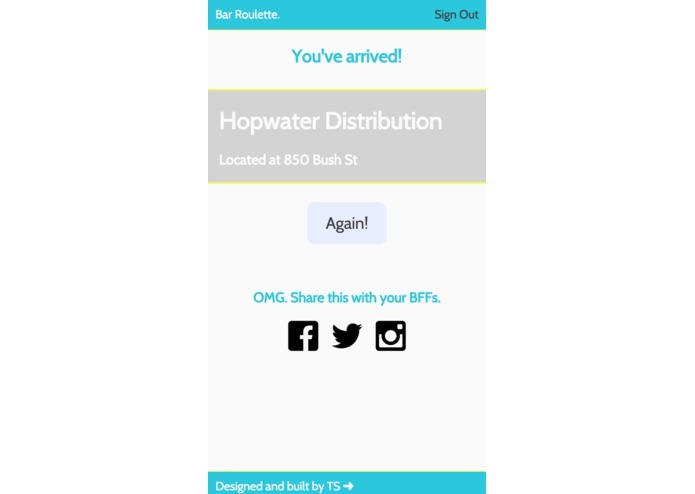 The best part is the user doesn't find out what the bar name is until the ride has completed and they have arrived! Checkout my demo video and site on heroku!